Many top-rated properties use TGI’s customized visitor maps. Our client-centered pricing models make it affordable for individual hotel properties and entire brands to purchase fully custom visitor maps of their properties and the surrounding areas. TGI can put these uniquely customized products into the hands of every business that wants them. Over our decades in business, we have experimented with every possible pricing structure — and we have developed tried-and-true ways to make even highly customized products truly affordable. 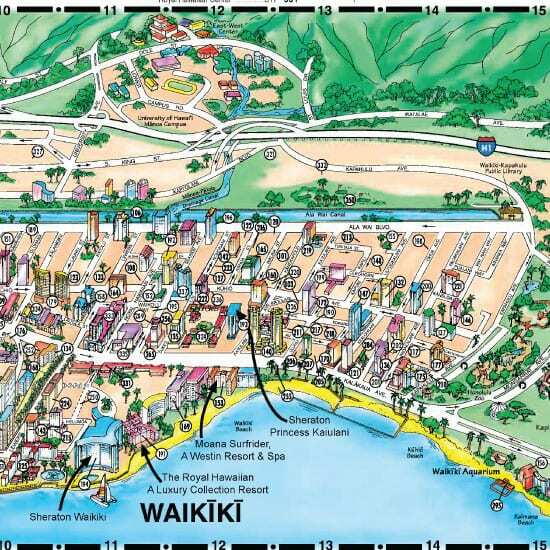 Starwood Resorts in Oahu uses a customized hotel map to highlight its multiple Waikiki properties, including photos and content to market their other locations for future visits. 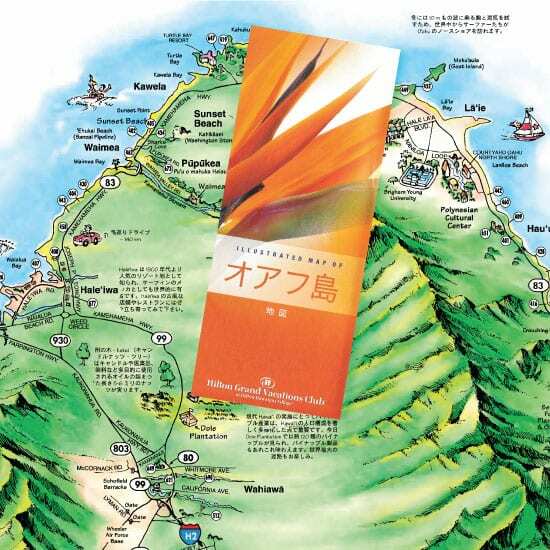 Many Hawaii resorts, including Hilton Grand Vacations Club, purchase Japanese versions of their customized hotel maps along with English-language versions. About 1.5 million tourists visit Hawaii from Japan every year. You know it’s important to capture guests’ attention before they arrive. Travelers are overwhelmed with trip-planning resources — and many don’t know how to separate the wheat from the chaff. Top hotel brands turn this traveler’s challenge into a golden opportunity to impress and retain guests. Send a unique and interactive map with the reservation confirmation email, and build your hotel’s reputation as a trusted travel-planning resource. Build your hotel's reputation as a trusted travel-planning resource. TGI has four decades’ experience working with hotels and resorts. We understand the common challenges in the arenas of marketing, sales, and guest relations. From past successes, we know that our print and online products can help.